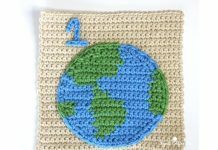 This Hubble the Squid Crochet Free Pattern is a cute and easy pattern which is a great home decoration. Make one now with the free pattern provided by the link below. 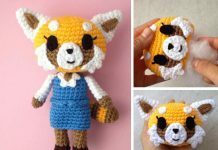 This pattern contains almost no sewing except for the eyes, which makes it less time consuming and easier. This is a great kids toy, as it is very durable and can survive a lot of batter from kids making it so you can save money and time. Kids will love tugging and pulling on the tentacles and it will stop them from fidgeting and playing with other things you don’t want them to play with. 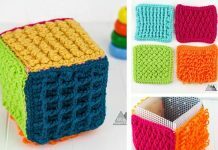 Thanks Projectarian for sharing this free crocheting pattern. The link for the free pattern is provided below photo. Happy crocheting.